This is not your ordinary retreat experience! 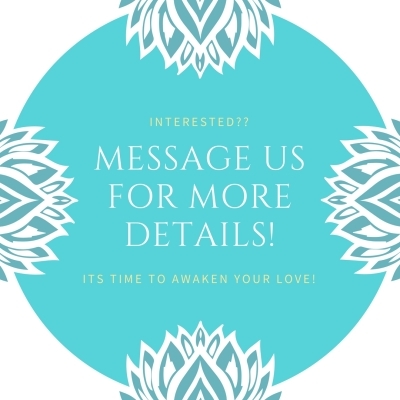 If you are ready to take your LOVE relationship deeper than you've ever imagined, this very intimate Deep Dive Beloved Couples Retreat may be for you! The Natural Medicine of Mt. Shasta and nestled in this exlusice Retreat with a view will be the foundation of this deep dive into the heart! This powerful 5 days and 4 nights will reveal, reset and rebirth your own Beloved Relationship with the Divine and reignite your Love for each other! We are confident you will both come down the mountains rearranged by Love and ready to serve Life together in ways you've yet only dreamed of! Elegant accomodations for 2 at an exclusive Historic Landmark Bed and Breakfast in Mt. Shasta. Space is VERY Limited as we have designed this Retreat to be a very Sacred Experience for deep transformation! We guarantee that your Life and Relationship will never be the same! Click on the link above to schedule a mini session with us to see if this retreat can serve your Love Relationship!